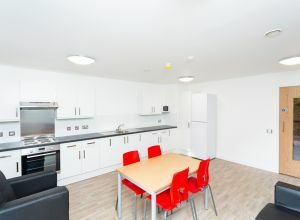 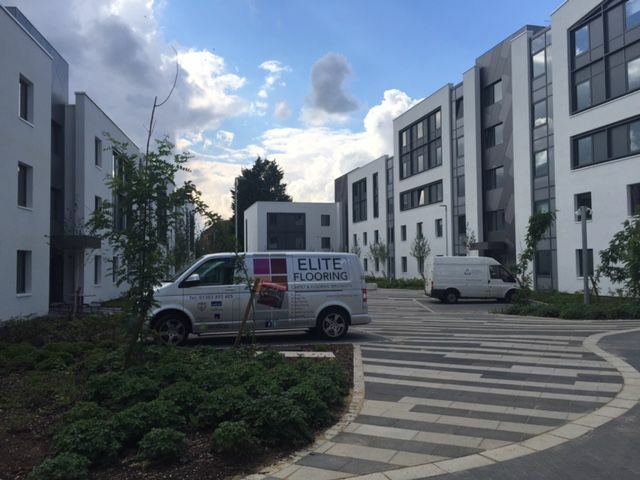 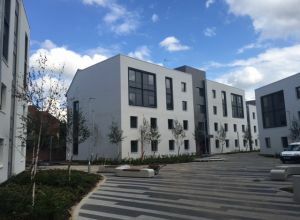 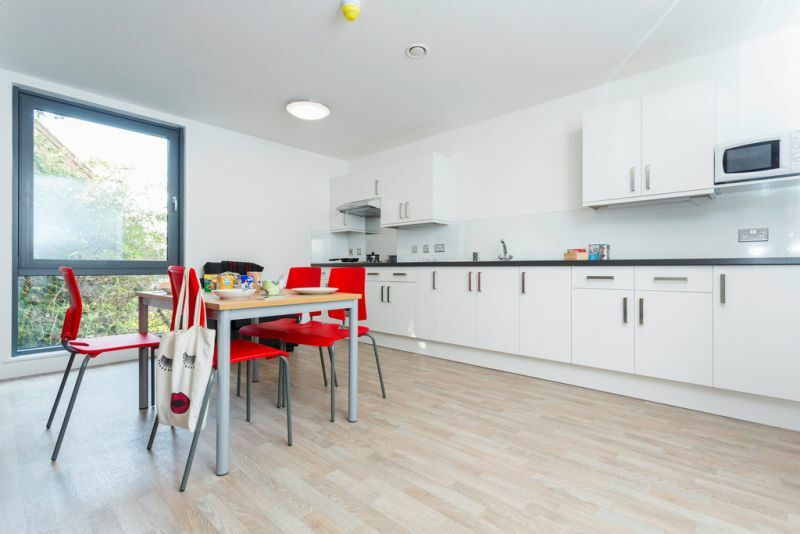 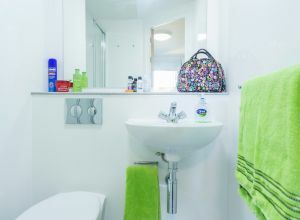 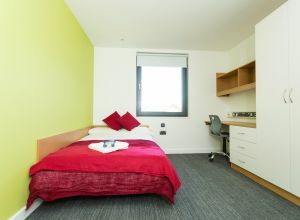 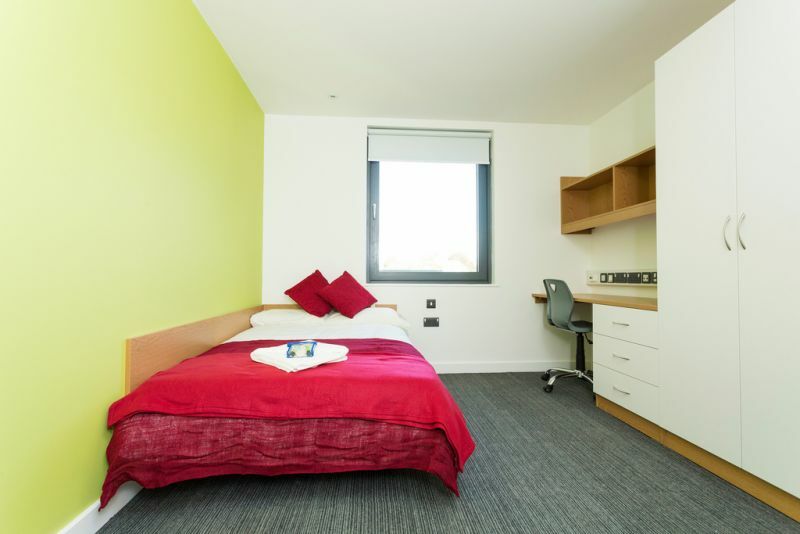 In November 2014, Elite began a large site for Christchurch University in Canterbury, consisting of student bedrooms, communal kitchens along with ensuite areas. 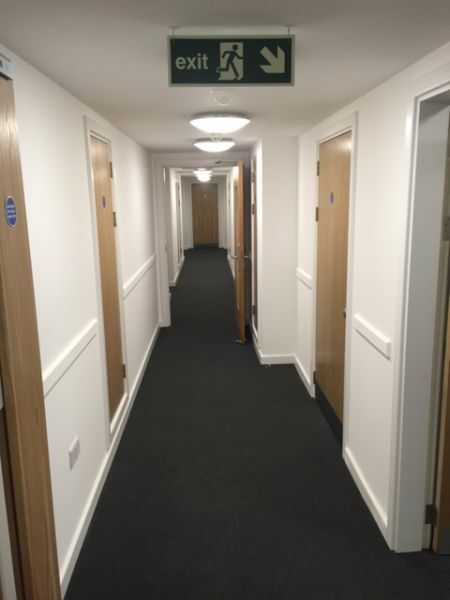 This project was phased over two years. Elite handed all areas over on time and within budget. 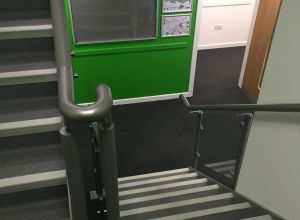 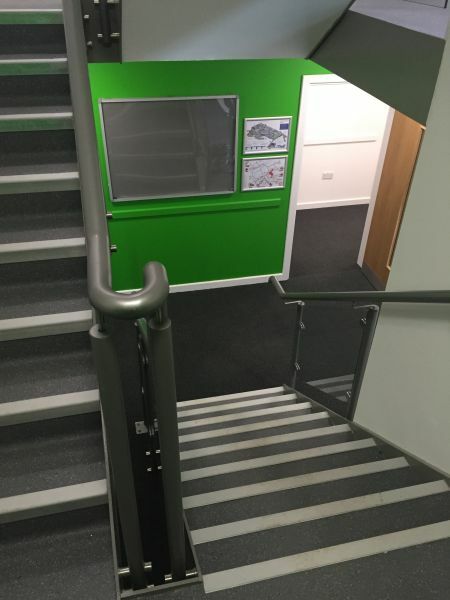 Altro Walkway Blizzard was fitted to entrance lobbies and all staircases which were finished with Gradus, Aluminium nosings. 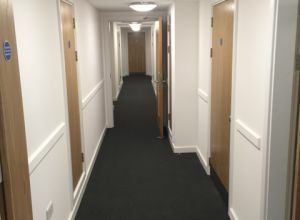 Elite fitted Desso, Essence stripe to bedrooms and plain to corridors with acoustic backing, all floors were prepared with latex prior to installation. 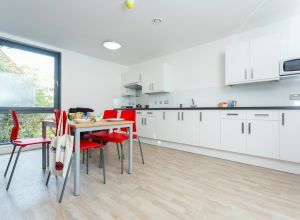 All kitchen areas were fitted in Tarkett Safetred Wood with latex preparation. 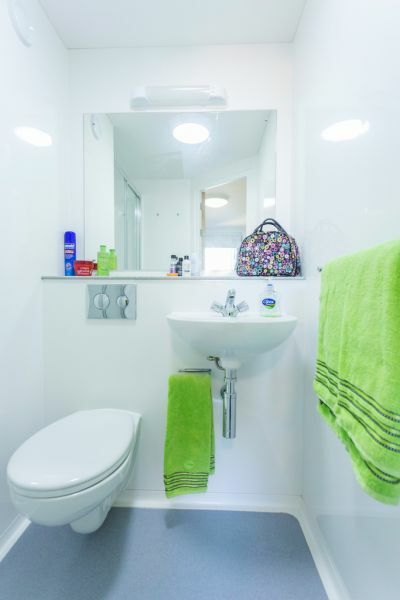 Bedroom bathrooms and disabled bathrooms were all fitted with Altro Aquarius, Blue Penguin with latex preparation.